Ruth E. Johnson is the founder of The Law Office of Ruth E. Johnson. She created the firm’s mission statement: to provide superior aggressive representation in a professional and ethical manner. 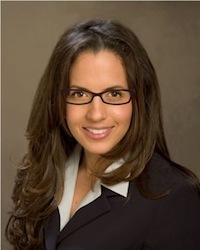 Ms. Johnson is an accomplished trial lawyer, and respected member in the South Florida legal community. Ms. Johnson is dedicated to giving clients the personal attention they deserve and does not believe in a “volume, factory type” of approach in which each client is run through a “mill”. Instead, The Law Office of Ruth E. Johnson is focused on a personal approach to case management, while aggressively pursuing benefits from the negligent parties. Over the years, while practicing in the civil and criminal law, Ms. Johnson has earned a distinguished reputation as one of the most skilled trial attorneys in the South Florida legal community.